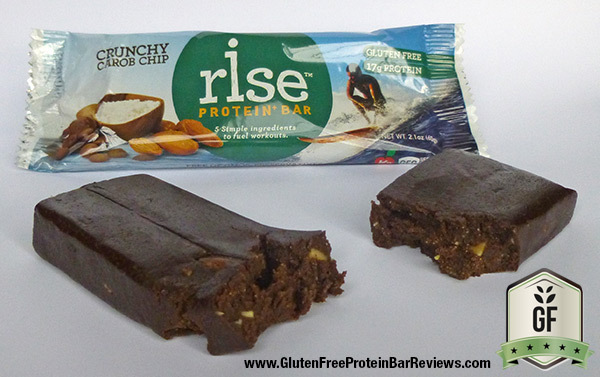 The Rise Protein Bar is designed to make good workouts great. It’s a super clean formula that delivers a big protein boost with five ingredients or less. Allergen Statement: Contains tree nuts and milk. Manufactured in a gluten-free, soy-free, peanut-free facility. May contain date pits or nut shells. 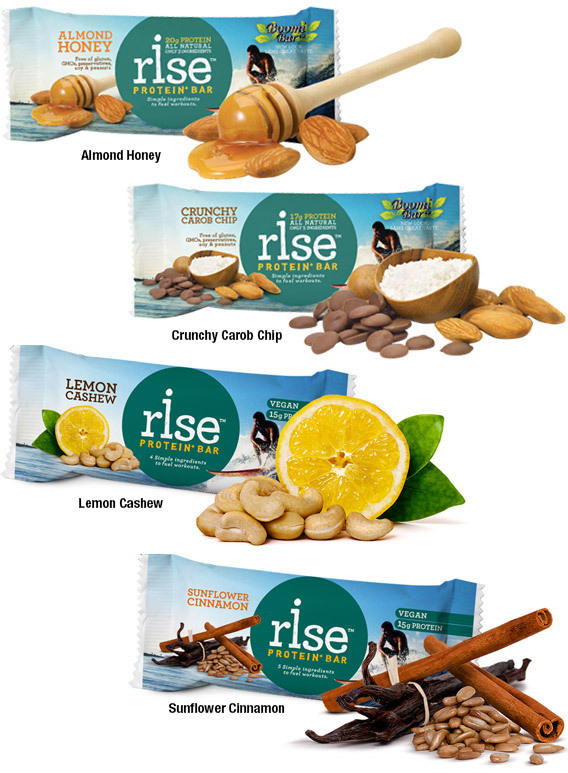 Nutrition facts based on Honey Almond flavor. Facts and ingredients vary by flavor. 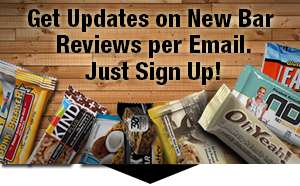 The Crunchy Carob Chip comes in 17g of protein. The majority of buyers loved both flavors. However some mentioned that it’s a little too sweet with all the honey and agave and that they had to wash it down with a glass of water. According to the manufacturer the amount of agave is needed as a binding agent to hold together the dry ingredients like almonds and carob powder. Both bars have a smooth and chewy texture. Some buyers wished there would be some whole almonds in it. Ingredient list is even shorter than Quest Bars. Only three for Honey Almond and five ingredients for Crunchy Carob Chip. Bar is very low in sodium, but high in sugar. 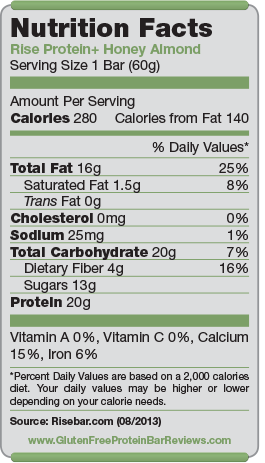 Athletes like the 17–20 grams of whey protein in each bar. 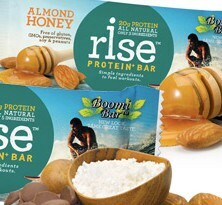 With $2.75 per bar at retail Rise Protein+ bar are at a fair value with the amount of whey protein that you’ll get for it.